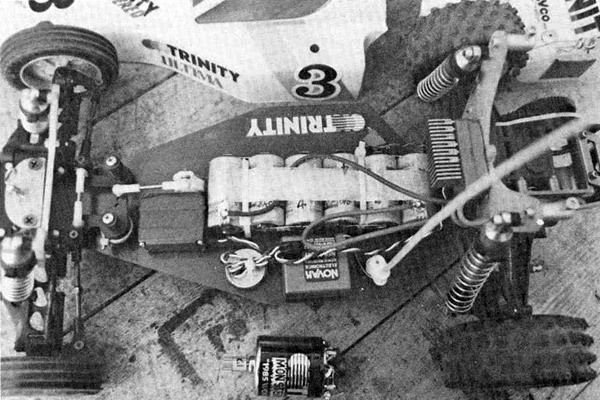 The 1987 IFMAR World Championships made their way to Romsey, England where the best drivers on the planet would do battle. Just to name a few, the A-Main grid for 2wd buggy included the faces of Kris Moore (now with Mugen Seiki USA), Eustace Moore (owner of MIP), Jay Halsey (owner of Jammin' Products), Masami Hirosaka, and of course Joel Johnson (President of AKA). Joel Johnson, known for his 1:12 onroad racing, was handed an offroad buggy only months before the event. He was able to work his way through the pack in A1 for an early victory, setting himself up for a possible World Championship win. In A2, the young American would struggle, and find himself finishing 5th, nearly 13 seconds behind the leaders. It would all come down to the final main event. Kris "Holeshot" Moore would jump out front early, but began dropping back, as Johnson picked his way through the field. Johnson looked to have a solid victory in sight, when he suddenly clipped the inside ledge on the inside lane and rolled it over. This would drop Johnson back in the pack, but he would once again fight his way up to second place. As he crossed the finish line in second, the crowd waited anxiously as the points were tallied. 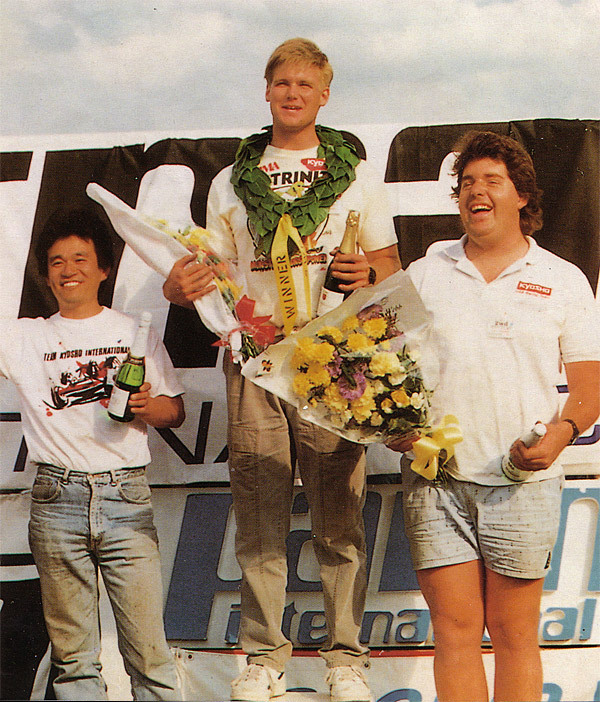 With his 1-2 finishes, Joel "Magic" Johnson was able to capture the 1987 IFMAR 2wd World Championship, and lead a podium sweep for the Kyosho team with Katsunori Kondo and Kris Moore finishing up 2nd and 3rd. Join us next week for another edition of "Flashback Friday!"